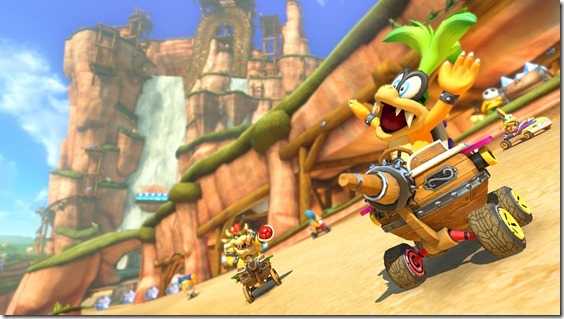 Mario Kart 8 Deluxe releases today on Nintendo Switch. 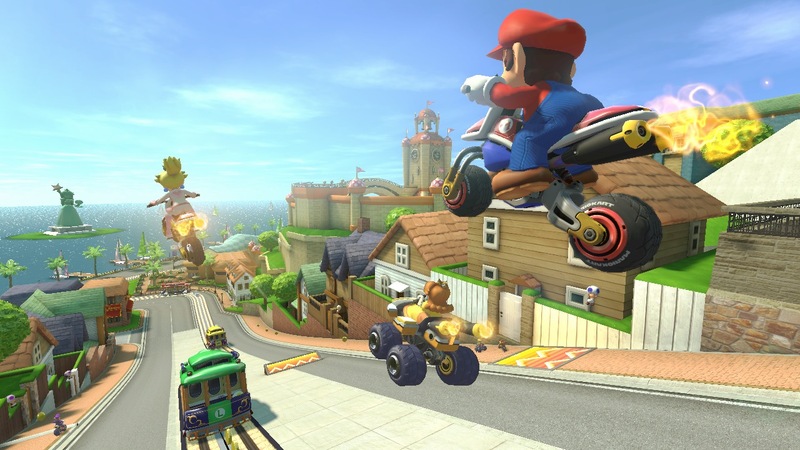 Packed with all of the tracks from Mario Kart 8 on Wii U in both base and DLC form, there are 48 tracks total. Which are the best of the best? Well, that's purely subjective, but the mind behind SuperPhillip Central has come up with a list of the top ten Mario Kart 8 Deluxe tracks. These are the most fun to race on, most enjoyable, best themed, most interesting aesthetically or locale-wise, and just plain all-around awesome. 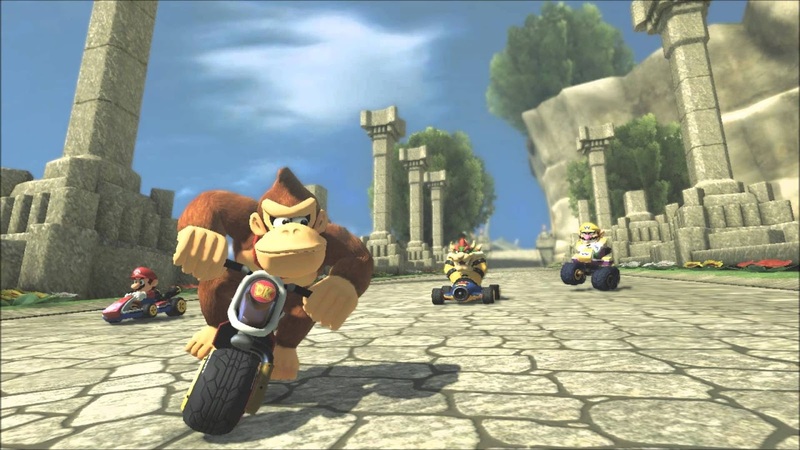 After seeing my picks, which Mario Kart 8 Deluxe tracks do you find the best and most pleasant to race on? We begin with the opening track of Mario Kart 8, Mario Kart Stadium, an aptly named track if I do say so myself. 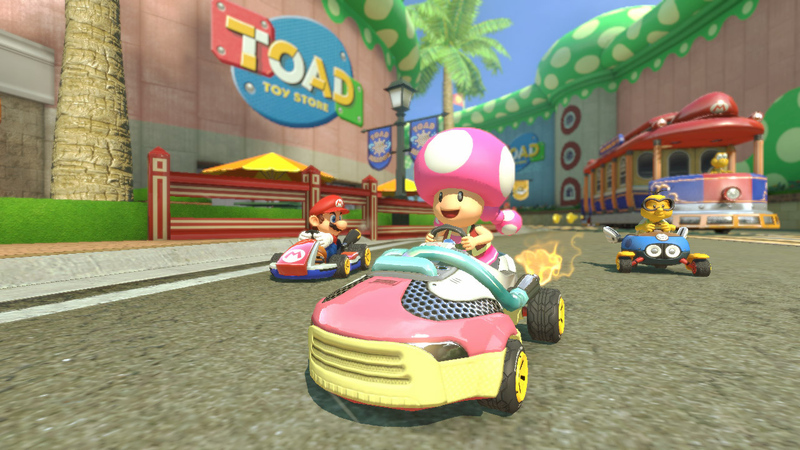 Set under a nighttime spectacle of fireworks and cheers, Mario Kart Stadium happens to be an enjoyable and exciting race, something that many first tracks of the Mario Kart series may not register as being. 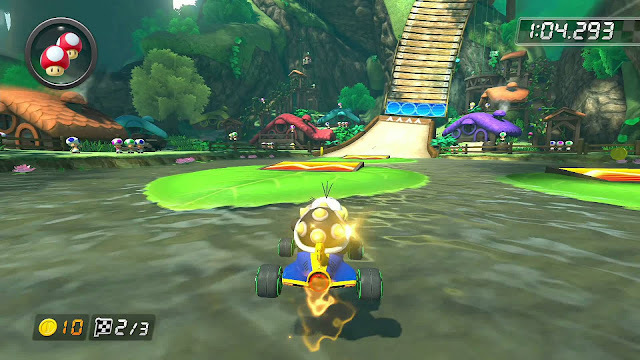 With long curves to enjoy drifting and boosting opportunities, moments where smartly conceived Mushroom boosts can cut seconds off a given racer's time or add to their lead, most Mario Kart 8 players' first taste of the anti-gravity sections the game proudly advertises, and a gliding section at its finale, Mario Kart Stadium is perfect for a beginner while still being entertaining for veterans. Mario Kart Stadium signals the start of the Mushroom Cup in Mario Kart 8 Deluxe. Thwomp Ruins is the cup's finale. It takes place in an ancient ruins where on the second lap, the central courtyard opens up its ramp, allowing racers to use its ramp to glide past obstacles like the central body of water and several Thwomps. Yes, as the name suggests, Thwomps make a home here for themselves in these bright and sunny ruins filled with copious vegetation. The ancient carvings on walls and in the tunnels are pleasant and add to the environment. Thwomps aren't the only hazards in these ruins. In the first tunnel, stone gears roll on down in the center of the track, plowing over any racer foolish enough to get in their way. Two gliding opportunities and one final shortcut that offers a great risk vs. reward proposition (a narrow ramp surrounded by a bottomless pit that bypasses the last turn of the ruins) also make for a really fulfilling race to win. 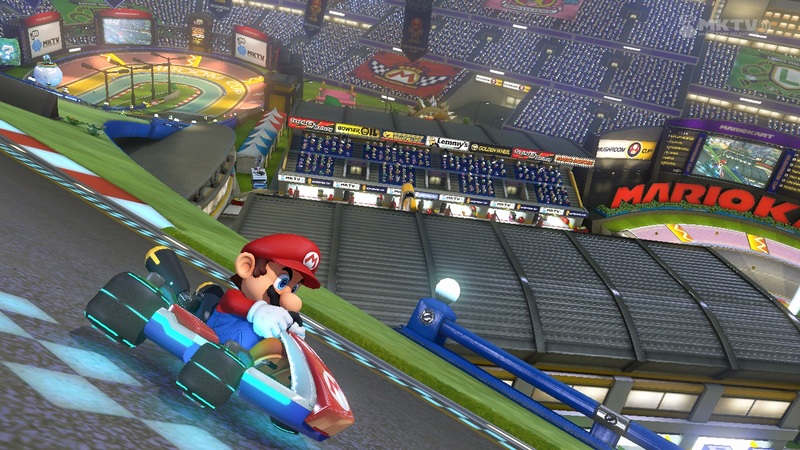 A relic from Mario Kart 64, Yoshi Valley is the final track of the Leaf Cup in Mario Kart 8. Like its original version, this Mario Kart 8 iteration of Yoshi Valley features a network of myriad routes through its sprawling canyon, some faster to take than others, but they all lead to the same end point. This end point leads to a series of winding turns all culminating in a circular platform where a giant green and white Yoshi egg slowly rolls along, ready to run over any unsuspecting racer. The faster routes through the network of pathways tend to feature the most dangerous terrain, such as a lack of railways to keep players from speeding off into the valley below. 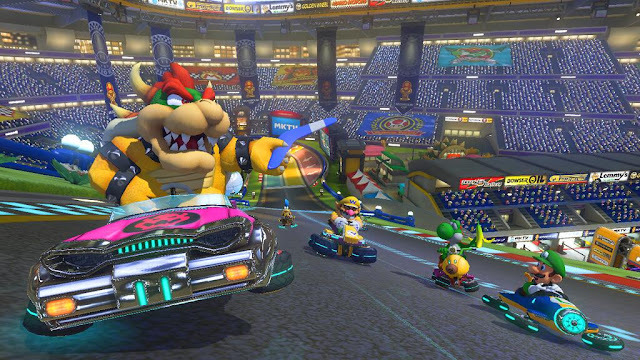 It makes for an exciting race that offers a lot more choice than any other race in Mario Kart series history. The final race of the Flower Cup, Shy Guy Falls is home to a diamond mine built directly into the face of the mountain. 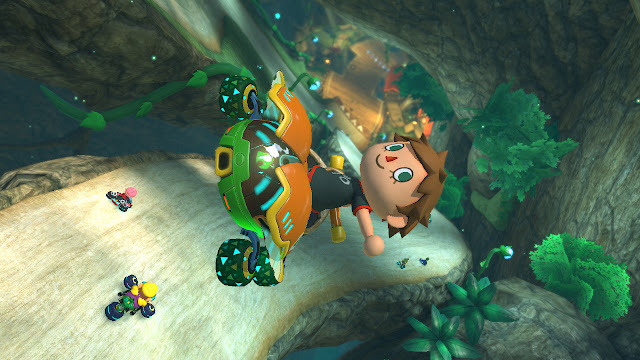 The race takes part high above the ground, where falling can happen when you least expect it (such as an opponent using a Lightning Bolt while you're making a leap over a pit). The eponymous falls have you racing not just up a waterfall, trying to make a perfect racing line that allows you to cross every boost raining down from the falls, but also down a waterfall soon after as well. This latter waterfall leads to the track's sole gliding section, where racers can opt to glide down onto the main track or take a brief shortcut through a hanging cavern. 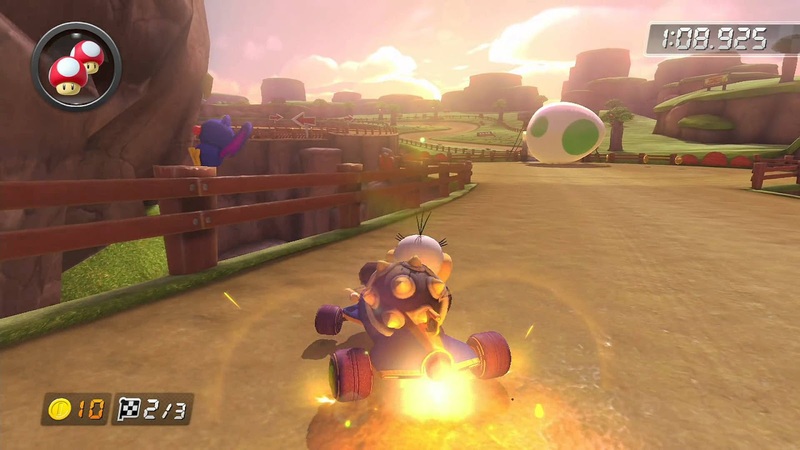 Another shortcut is mere yards away, having racers use a Mushroom to boost between two small stone pillars to bypass one of the track's final turns. 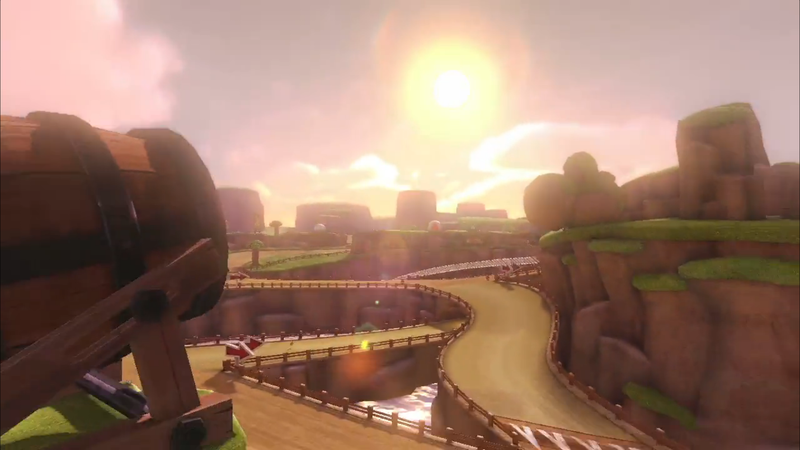 Wild Woods was a part of the second downloadable content pack of races in the original Mario Kart 8. It takes place high up in the canopy of a heavily forested area where a Shy Guy metropolis of hanging houses make their home. 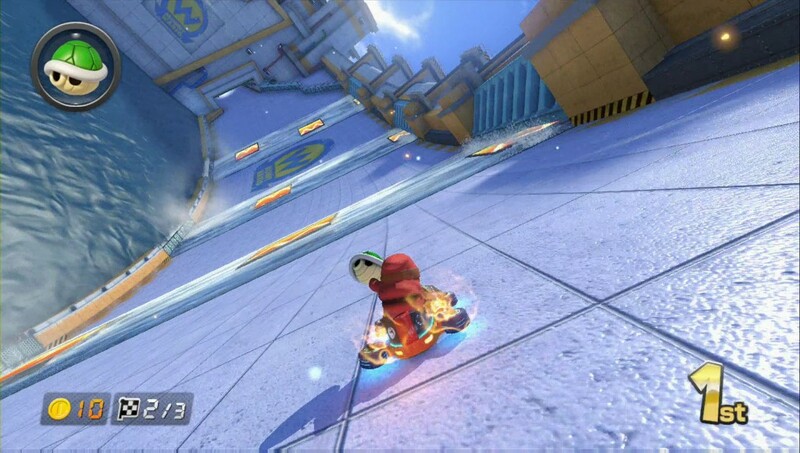 Like Shy Guy Falls, racers do a lot of vertical maneuvers, going 100% vertically up the face of walls and the like. 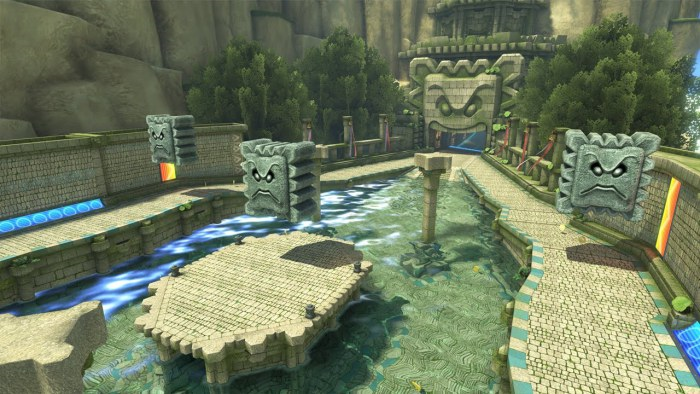 Notable pieces of this delightful track include a gliding section over an open chasm where Shy Guys travel across ziplines, a race through the rapids that lead down to a lake filled with boost-plastered lily pads, and two opportunities to take alternate paths. Wild Woods is a ridiculously fun race with a great sense of environmental ambiance to it. 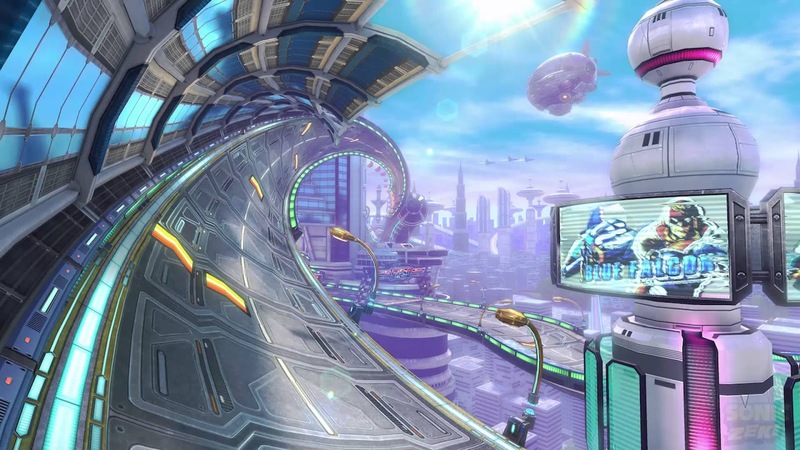 If Nintendo won't make a new F-Zero entry, at least this taste of the series with two F-Zero-inspired tracks in Mario Kart 8 and Mario Kart 8 Deluxe will somewhat do... for now. The first of these tracks (Big Blue being the other) takes place in F-Zero's most famous metropolis, Mute City. As you can imagine with the insane designs of the 3D F-Zero racetracks, Mute City is full of crazy curves that are almost entirely in anti-gravity areas. Racers will go upside-down, right-side-up, to the side, underneath, and every which way in this track, while jetting around on the multitude of boost pads that are sprinkled along the track. The finale sees a shortcut opportunity for those with a Mushroom, or they can just take the final jump and meander through the snake-like route leading to the finish line. 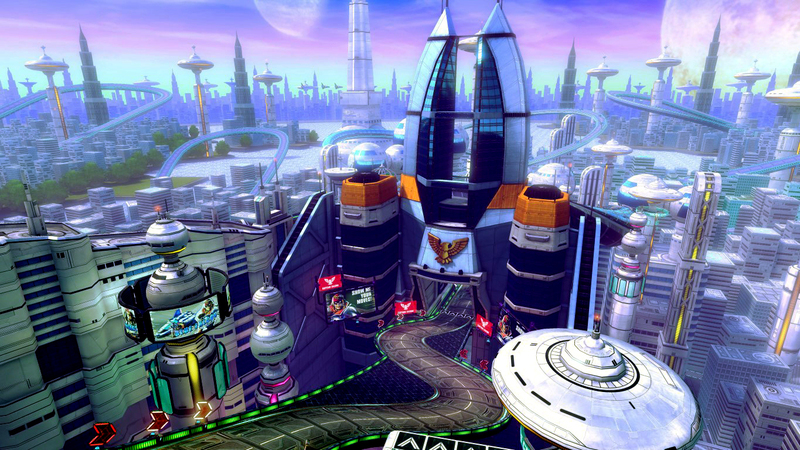 Mute City's Mario Kart 8 version is a blast to play and is modeled just like a track from F-Zero. 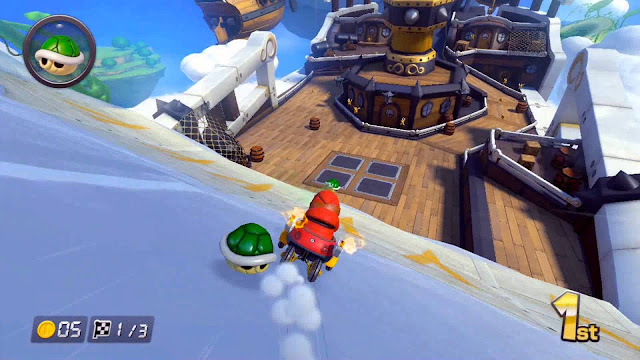 As the name suggests, Cloudtop Cruise takes players on an adventure through the clouds, from the cloudy pathways at the start of the race to one of Bowser's many airships. The airship that racers spend a brief time on leads to a cannon that launches them into the heart of a lightning storm, where racers can opt to zoom along multiple boosts. This requires timing and precision, as many of the boosts in this darkened and stormy portion of track get hit by intermittent bouts of lightning. Once this anti-gravity section has been overcome by racers, they get launched to the home stretch, where they can opt to take the long but safe way to the finish, or try a courageous shortcut by jumping across the leaves of a beanstalk. 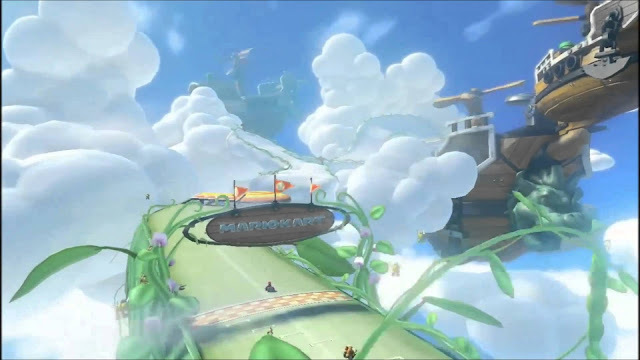 Cloudtop Cruise is a wild and rowdy sky high adventure that makes for an exciting and electric start to Mario Kart 8's Special Cup. Let's continue with Mario Kart 8's Special Cup. 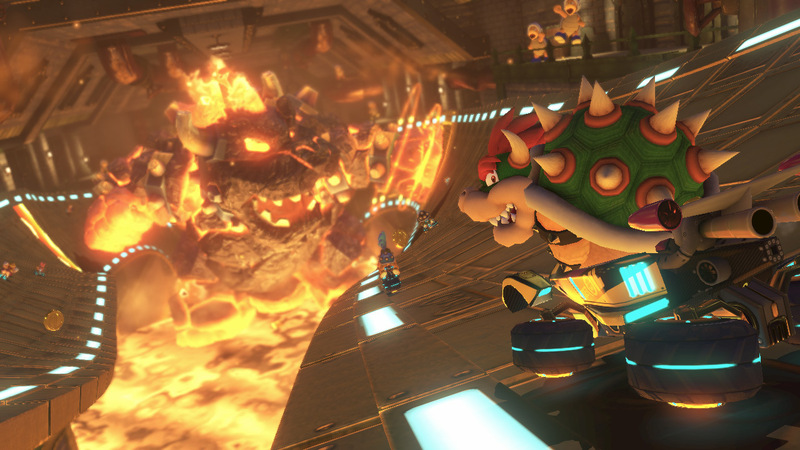 Traditionally, the Bowser's Castle tracks in the Mario Kart series feature a wide array of dastardly, menacing obstacles and hazards to avoid, whether Thwomps, blazing fire bars as seen in the original Super Mario Bros., and other dangers. 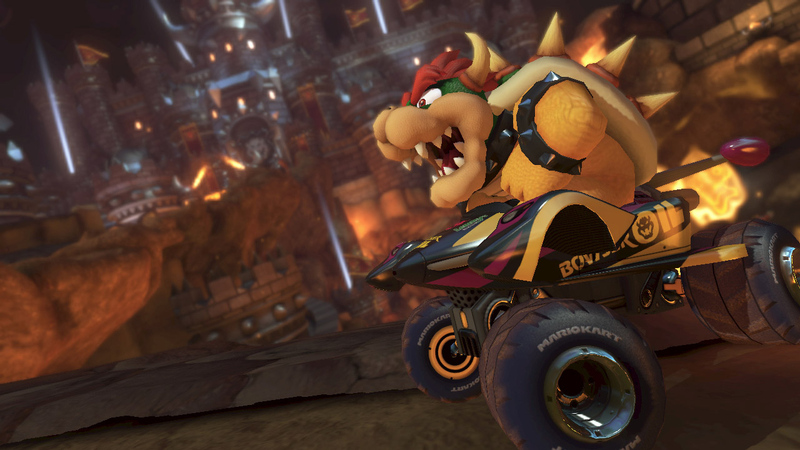 The Mario Kart 8 version of Bowser's Castle features an impressive gauntlet of hazards, from giant three-arm fire bars, swinging spiked balls, rolling boulders, lasers at the entrance, and even a monstrous statue of Bowser that slams its fist from one part of the track to the other. The anti-gravity portions of Bowser's Castle are awesome, and the amount of trick opportunities make for a really thrilling and heated (both figuratively and literally) race. 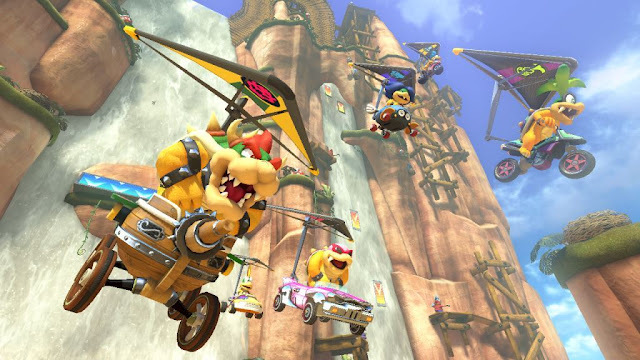 Mount Wario is an aberration compared to every other track on this top ten list. Instead of featuring three leaps, Mount Wario features three segments, all leading to one thrilling adventure down the slopes and face of the titular snowy mountain. Right away, racers drive off the starting gate, the innards of a chopper to land smack dab on the summit of Mount Wario. Then, it's all downhill from there. Literally. An icy section showcasing nice drifting opportunities lead into a cavern filled with rushing water and gliding opportunities. That then leads to the Wario Dam, where racers speed along the side of as water and intermittent boosts rain down. A snowy forested section of trees and logs follow, and then a skiing-inspired third segment faces racers with slalom-style gates, mounds, and tricking opportunities. 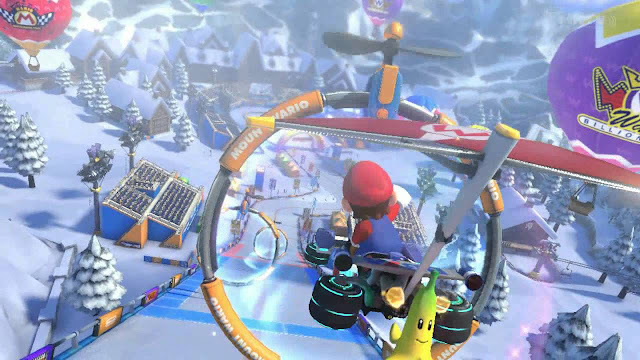 A riotous race and journey down the snowy mountain, Mount Wario is a fantastic finale to Mario Kart 8's Star Cup and a fantastic race in general. This is purely a personal number one choice, as I absolutely love city-based tracks. One of my favorites is Mario Kart DS' Delfino Square, and now Toad Harbor takes the top spot of my favorite Mario Kart 8 Deluxe tracks. This bright and sunny summer metropolis starts out with a marina housing sailboats and an immediate boost ramp that sends racers flying over one of the sailboats docked in the harbor. What follows is a trip through an open-air marketplace that racers can zoom through on street level or above via awnings. This leads to two paths to take, the right one being a slight shortcut. Then comes a section where San Francisco-inspired streetcars travel onto the track. Racers can completely ignore these by traveling along the leftmost wall, though is slower than taking the inside turn. Next, a downhill section of track occurs, where racers can trick off ramps or take to the edges to speed along boost pads. This leads to a final couple of turns before the finish line. Toad Harbor might not have a gliding section or many opportunities to show off Mario Kart 8's anti-gravity central mechanic, but it does offer circuit-based racing that is phenomenal and in a visually pleasing city-based environment.